Dealing with customers, subs and employees isn’t always easy. All too often they can say and do things to us that can really strike a nerve. How you react in the situation can really make a statement about your professionalism as well as what they might actually share with others about your reactions. Besides the people who get your goat others may be observing your reactions as well. The observers may include your employees, trade partners as well as your customers. How you react to stress and frustrations will definitely leave a lasting impression on them. If you beat the snot out of a chunk of wood with a sledge hammer as a way to cope with frustration and or stress your employees will likely think it’s ok to do so as well. What if after seeing you do it they are frustrated by a client the next day , go out to the back yard of the job site and do the same in view of the customer? What will the customer be thinking and how might it affect the atmosphere on the job site for the rest of the project? How might it affect future referrals? Now consider this example. If you asked a prospective lead carpenter you are considering hiring how he or she deals with stress or frustration on the job and they share that beating the snot out of a wood scrap with their 28 oz Estwing works best, would you hire him or her? I certainly wouldn’t. Instead why not consider the difference between your roles and your identity. Your true identity is who you would be if all of your roles were stripped away. It’s who you really are as a person and in reality has nothing to do with what your job position is. By contrast, your roles are the responsibilities and activities you assume in the course of life, or while on the job, whether by choice or otherwise. And no matter what roles you serve in life, they are not who you really are as a person. I’ve learned from experience that until owners, managers, and employees can separate their identities from their roles, they may be personally affected by the comments, attitudes, and expectations of their clients and co-workers. This doesn’t have to be. Life is stressful enough already. Don’t let job stress add to it. 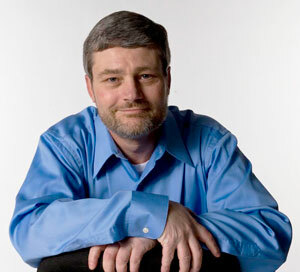 About the author: Shawn McCadden is a nationally-known columnist, remodeling speaker, business trainer, remodeling business coach and award-winning remodeler. As a Certified Remodeler, Certified Lead Carpenter, and RRP Certified Renovator Instructor McCadden has more than 30 years of personal experience in the remodeling and new home construction industries. For more articles and information, visit his website at www.shawnmccadden.com. Thanks, this is a good reminder. I have found myself losing control sometimes and then regret it later when I see the effect it has on my employees or customers. When I get frustrated, I need to walk away for a time to reflect on what my role is in the situation and remove the emotion as much as possible, which is a work in process for me.